My Most Popular Post: My Ten Most Hated Movies Since Starting This Blog. I think this proves that people love a good bitchfest! I was starting to wonder if anyone looked at this blog anymore when I decided to put this post together on a day when I was in a really bad mood. I got loads of comments! 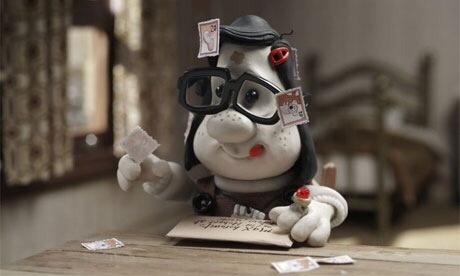 I loved hearing from people who agreed with some of the movies I absolutely hated but also from many who disagreed as well (my hatred of Mary And Max & of Slumdog Millionaire was especially unpopular). 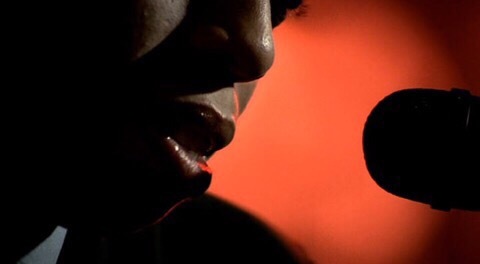 My Favorite Post: My Top Ten DJs/Disc Jockeys In Movies. This was a fun list to put together & one I’d been meaning to do for ages. I still love that, while researching this list, I discovered that a cartoon Skrillex was in Wreck-It Ralph. My Top Search Term: “gnome project x“. But spelled as “gnom” – how annoying. Well, variations of this search term pop up all the time. 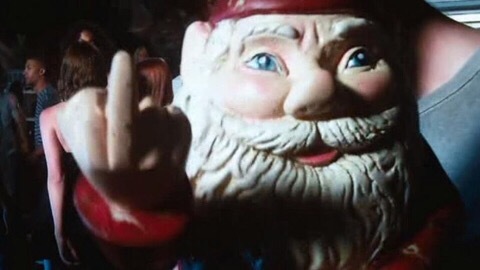 The “gnome giving the finger” in the movie Project X seems to be very popular!! My Favorite Search Term: “jennifer balgobin weird science“. I like search terms for people I’ve never heard of. I had to look up Jennifer Balgobin. 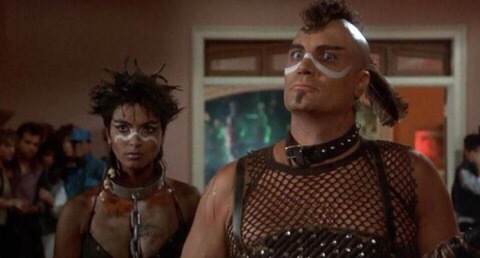 Turns out she was “Biker Chick” in Weird Science (which I reviewed HERE). Cool. There are quite a few movies coming out in August that I’m hoping to see. 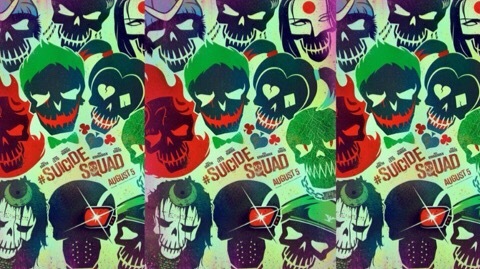 I wasn’t all that excited about Suicide Squad but I’m changing my mind now (mainly because that below poster for it is so awesome). I’m sure none of these will be great but I’m looking forward to The Shallows, Lights Out & The Purge: Election Year (I seem to be in the minority but I’m a fan of the first two Purge movies – you can see why in my reviews of the first movie & the sequel). It looks like the adaptation of Stephen King’s Cell is finally coming out this month?! I expect that to be horrible because of all the problems & delays that movie has had. What a shame as I really liked that book. I’ll still watch the movie, though, since I watch every King adaptation. Finally, I’m curious to see how the Pete’s Dragon remake turns out so I plan to take the kid to that. Remakes piss me off but this is one rare occasion where I have to admit that the original film is badly dated (even though I love it). I always end these with a music clip related to something I watched/reviewed. Well, there weren’t any great soundtracks in the movies I watched this month so here’s a tribute to the Project X gnome! I didn’t like the movie but did like some of the songs in that film. My favorite was probably Pursuit Of Happiness by Kid Cudi (Steve Aoki remix). 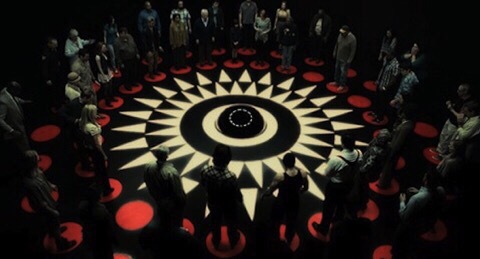 While I was not a fan of the first Purge movie, I freaking loved the second one. Now to see the third. Hoping it stays good. Wow! Your blog is collecting comments lol! Ah, what a pity! You seem super busy lately! Nope, but I am hoping to before long! Tom!! Things are okay. Not too foggy! Actually fairly sunny for England. Woohoo! Must be August. : ) Oh yeah… I seem to recall you disliking Project X. ; ) I LOVE your rants! I need to have a long blog-reading session soon. Please don’t let me miss any of your rants! It would appear that you and your fan-actical ilk work so feverishly hard on your comments, reviews​ et cetera. However, it does not have any significant value to individuals like me; who have a sheer loathing for such rubbish. I am neither a follower, fan (fanatic) of anything. And I think “reviewers” should go to blazes. I know my mind, and from what I have read thus far, (of your POVs) it is NOT compatible with your trendy and virtuous mindless static. So, I hereby…..UNSUBSCRIBE! Oh, I missed your ten most hated post! Will go check that out now. Second vote for Zodiac, also. Incredible film. 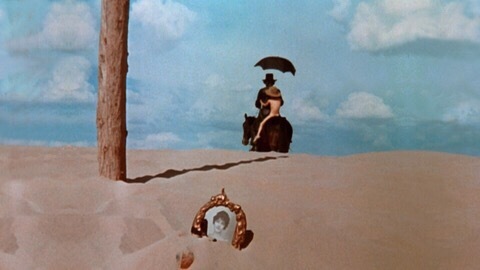 I wish modern long films still had intervals, like the classics do — if you’ve got two nights to spare, I sometimes find that a much easier way to watch. I know I could pick my own point and just pause it, but having a filmmaker-approved one feels much better. I liked the details in this recap review. Well done, keep up the good work. Imo be wary of ‘Cell!’ 😉 Still, it has its moments. Thank you! I enjoy doing these recaps (because they’re simple & I’m lazy. Lol). : ) Yeah, I’ll still watch Cell but I’m very wary of it! Always find your recap posts entertaining. If not that, The Raid. I highly recommend you save Hausu until October. Thank you! Sorry I’m so late to reply – I’ve been away. : ) Oh – that’s three Zodiac votes! Hopefully the hubby will watch that one with me soon, then – I’ve asked him to. I’ll check out your write-up once I’ve seen it! : ) I’ve avoided it since I’m not huge on serial killer stories but, mainly, because it’s so LONG. Sounds worth it, though? I’ll do Hausu next October as I realized I chose too many horrors for my Blind Spots this year. So Phenomena, Magic & Eyes Without A Face will all be reviewed this October. Oops!